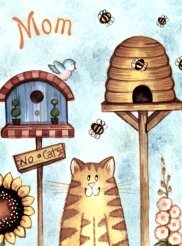 This tri-fold cat greeting card honors mom. Inside greeting: You put the sweet in Home, Sweet, Home. Envelope included.